There are a number of reasons you shouldn't fall asleep in class. For one, you'll miss whatever it is that is being taught. 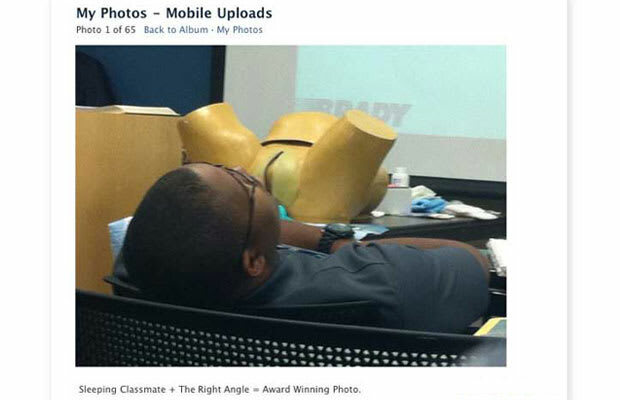 Secondly: Kids are assholes and will take a photo of you in a compromised position and share with the entire school.